Muddle all ingredients well (except the PERRIER) in a double rocks glass. 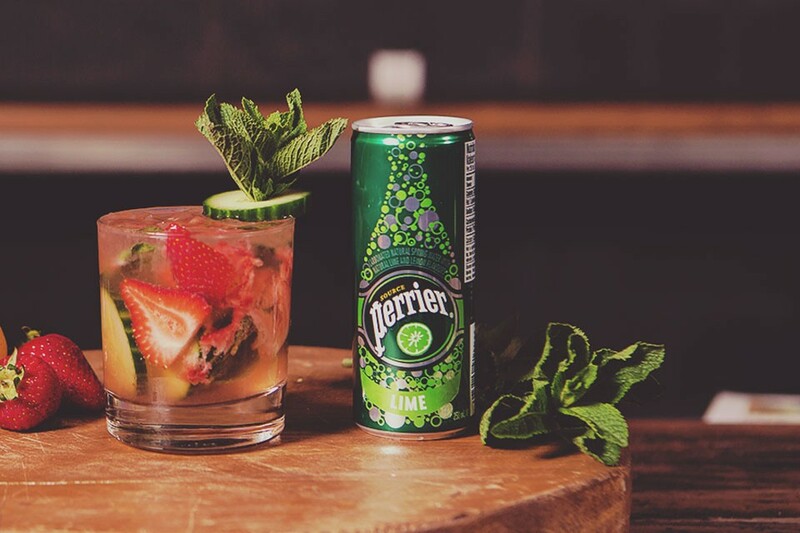 Add ice and top with 5 oz PERRIER Lime. Create the perfect cocktail by garnishing with a slice of cucumber and a generous sprig of fresh mint.